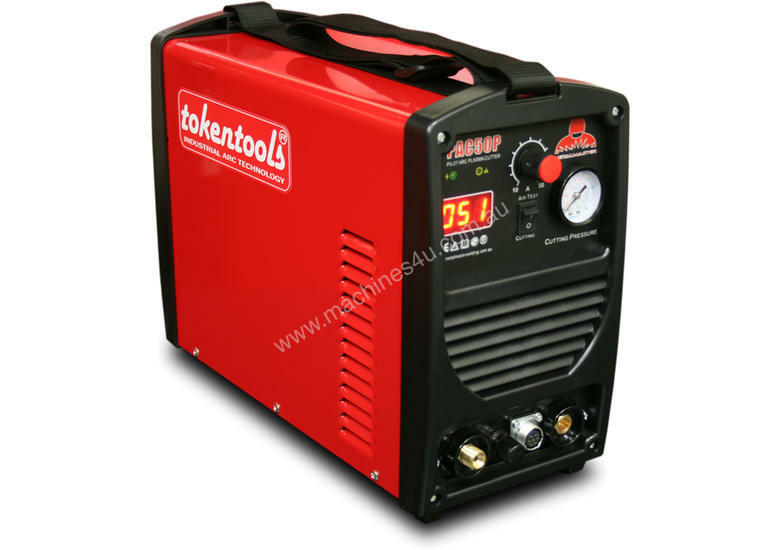 Now upgraded with Pilot Arc, this inverter plasma cutter is rated at 50 Amps, the Tokentools PAC50P is a portable inverter plasma cutting machine featuring a Pilot Arc ignition circuit triggered by a push button switch mounted on the ergonomic plasma cutting torch. 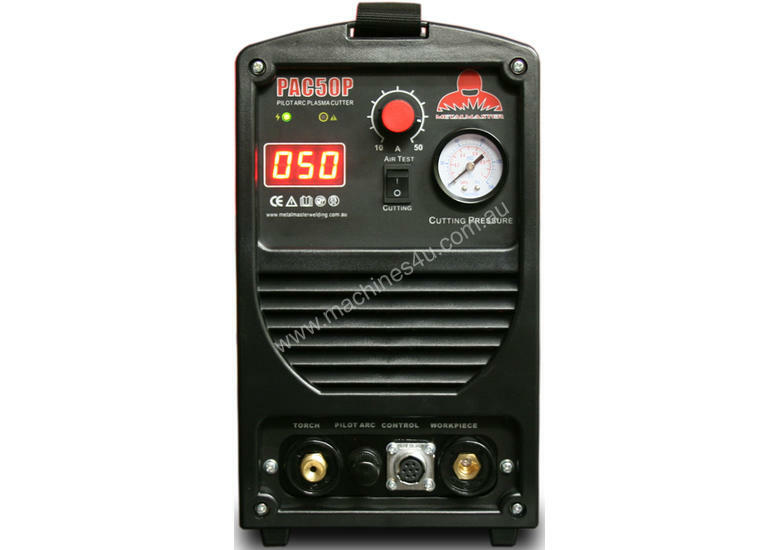 The PAC50P Pilot Arc plasma cutting machine weighs just 9 Kgs and is classed as a portable plasma cutter and has a shoulder strap to enable easy transportation. The PAC50P inverter plasma cutter is capable of cutting all conductive metals to a maximum clean cut in mild steel of 16mm with a severance capacity of 20mm and is the ideal tool for those in the metal fabrication and construction industries where machine portability is crucial. CNC applications are of course in reach of this awesome plasma cutter. Please contact our staff to discuss custom options as we can install voltage dividers and arc success outputs to make it easy for you to interface our PAC50P to your CNC cutting table. 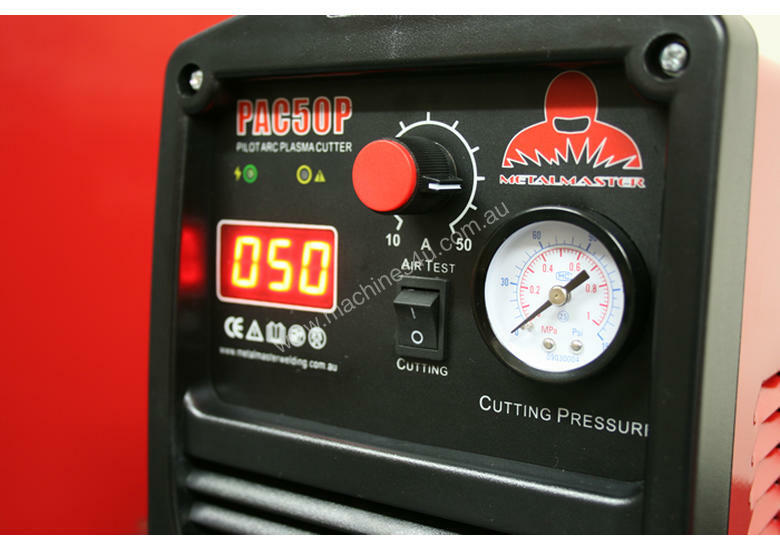 The PAC50P pilot plasma cutting machine has an adjustable operating current between 15A and 50A which makes it a must have in the automotive industry, light commercial fabrication or farm use. Plasma torch consumables are readily available from us and are a fraction of the cost of traditional product lines saving you many thousands of dollars in the long run. The inverter power transitors used within the PAC50 plasma cutter are manufactured by Toshiba of Japan, chosen for their reliability and longevity in the toughest of environments. With a 5 year parts and labour warranty to back your cutting machine purchase you will enjoy many years of reliable plasma cutting operations and over similar machines save thousands of dollars in torch consumables cost.